Due to increasing pollution in the environment, our skin tends to age faster than it should because of the damage going underneath. Photoageing is a serious problem and is caused by repeated exposure to the ultraviolet rays from the sun. A lot of you know that I am a skincare enthusiast and take my skin very seriously but hardly any one of you would know that I am photoallergic. I tend to get severe sunburns, itchiness, irritation, infections and tanning a lot faster than normal people. I completely left going in the sun after a terrible allergy and sun burn which left me a Vitamin D deficient for one and a half year. My face gets full of acne and there is a war of breakouts going on if I step in to the sun for more than twenty minutes. My skin is as sensitive as you can think of due to which I know the importance of a sunscreen or Photoageing cream way more than you. Nowadays there are a lot of products available in the market which claim to protect our skin from the harmful damage of the sun. Some of them offer more SPF while some offer more coverage. A lot of sunscreens also claim to moisturise and heal the skin in addition to protecting it against the harmful UV rays of the sun. Every one has different skin type, issue, texture and tone and a product that works well for your sister/best friend may not work the same for you. 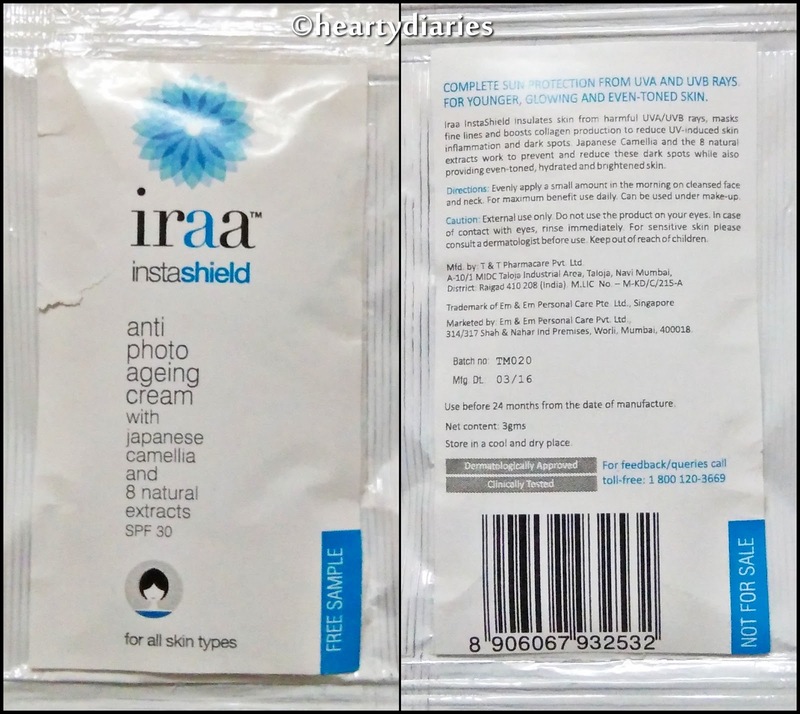 Today I am sharing my review about Iraa Instashield Anti-Photoageing Cream via its free sample with you all which I received in my July 2017 My Envy Box. 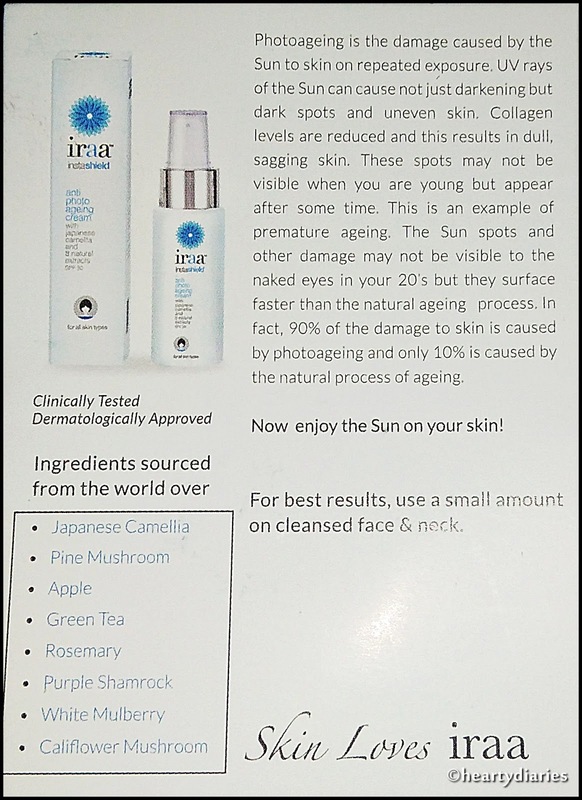 I hope my review helps you to decide if you want to purchase this product in case we have similar skin type. Please keep on reading this post till the end to know my overall experience, opinion and final verdict about this product so that it helps you form an opinion whether you want to spend your hard earned or saved money on it or not.. But before that, please take a minute out of your valuable life to write a “testimonial” or “comment” for me using your Facebook account here as I really need it to win The Indian Blogger Awards 2017.. 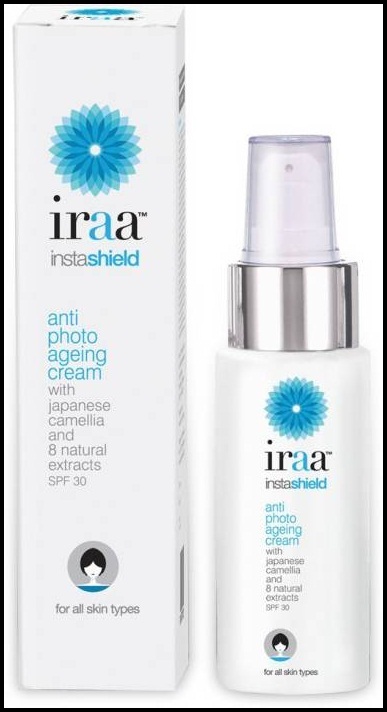 Product Description: Iraa Instasheild is uniquely formulated to help fight sun damage and improve your skin’s texture. It nourishes the skin and improves the skin elasticity. 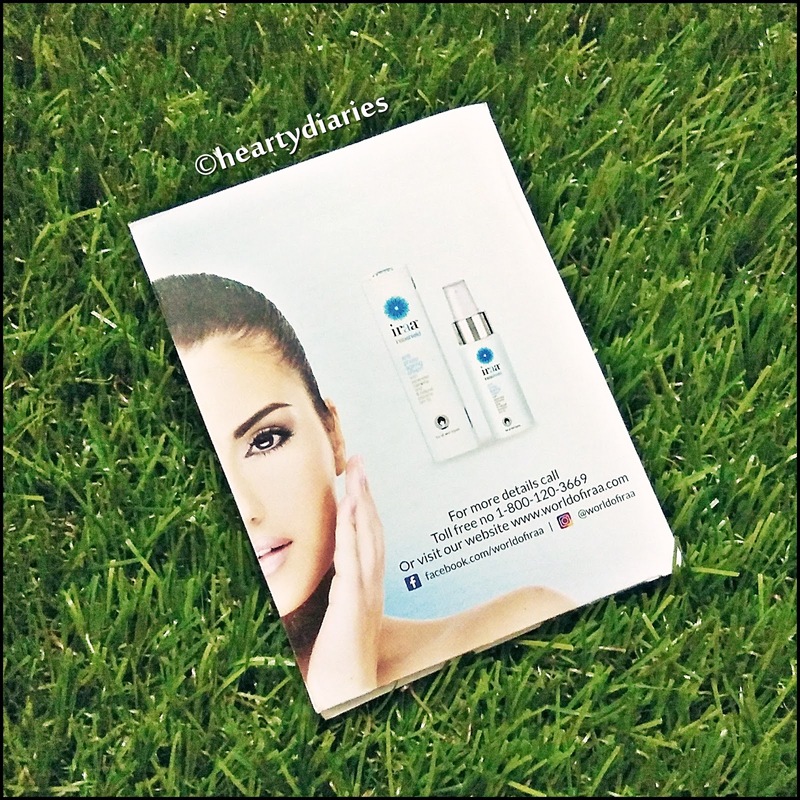 With SPF 30, it protects your skin from UVA and UVB rays, boosts collagen, moisturizes and hydrates your skin leaving it with a luminous glow. Directions of Usage: For best results, use a small amount on cleansed face and neck. 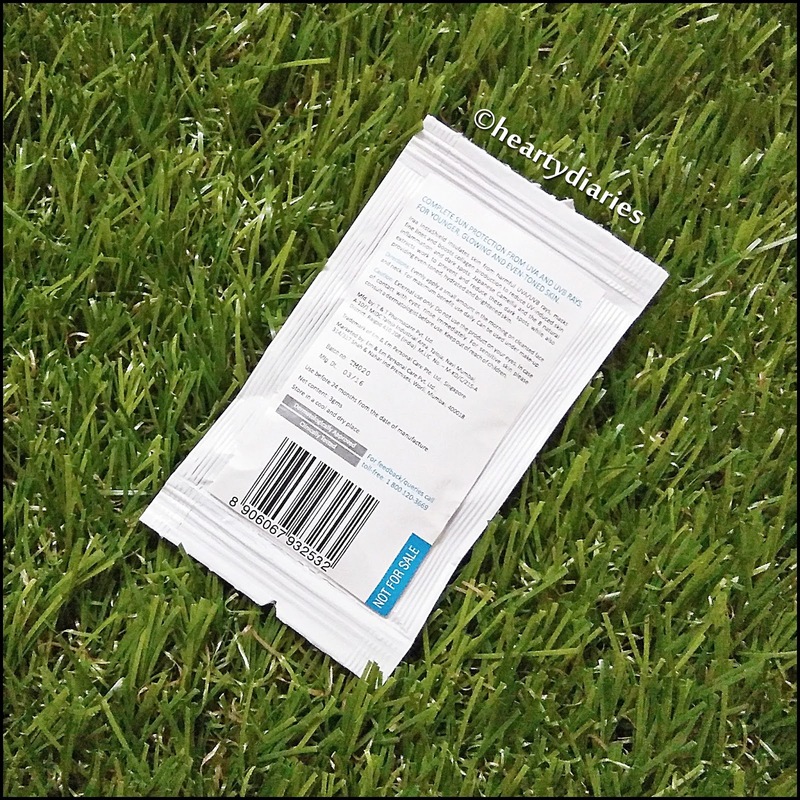 List of all ingredients not mentioned..
Packaging: As I mentioned earlier, I am reviewing this product via a sample sized sachet. 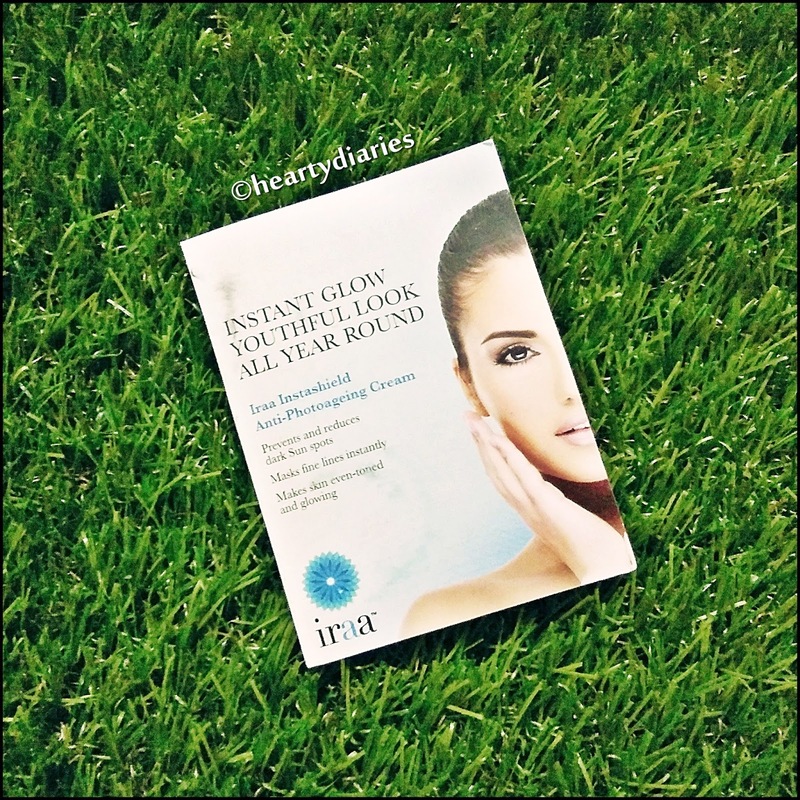 The sachet actually comes in this kind of card which says “Instant Glow, Youthful Look, All Year Round”.. It has a lot of important details about the product mentioned. Have a look at the card’s front side.. This is how the back side of the card looks.. 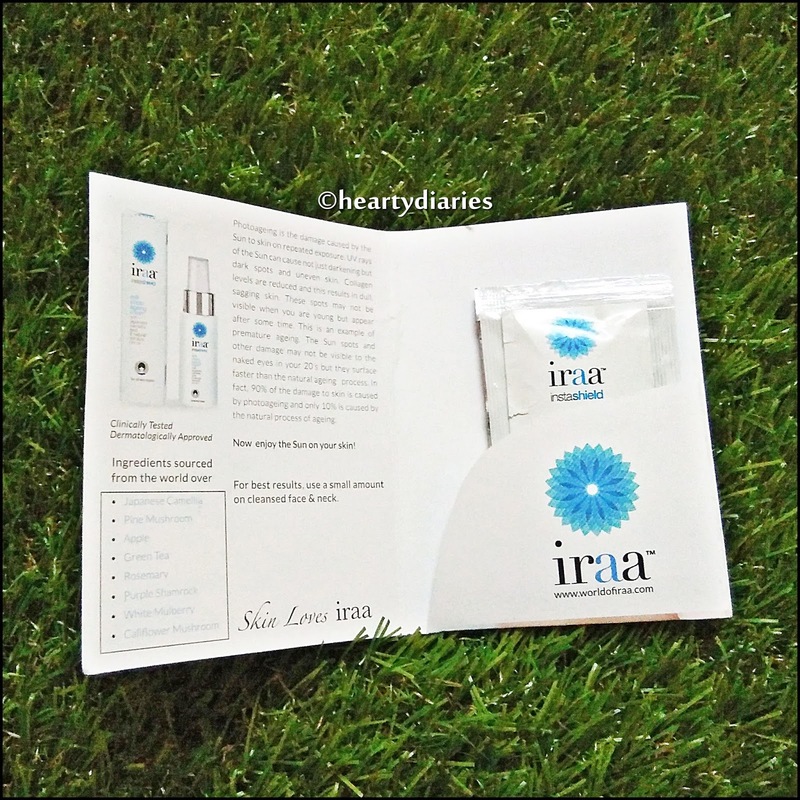 When you open the card, you see a pouch kind of thing where the sample sachet is safely kept..
As seen in various pictures, I can say that the product comes in a white and blue cardboard box. 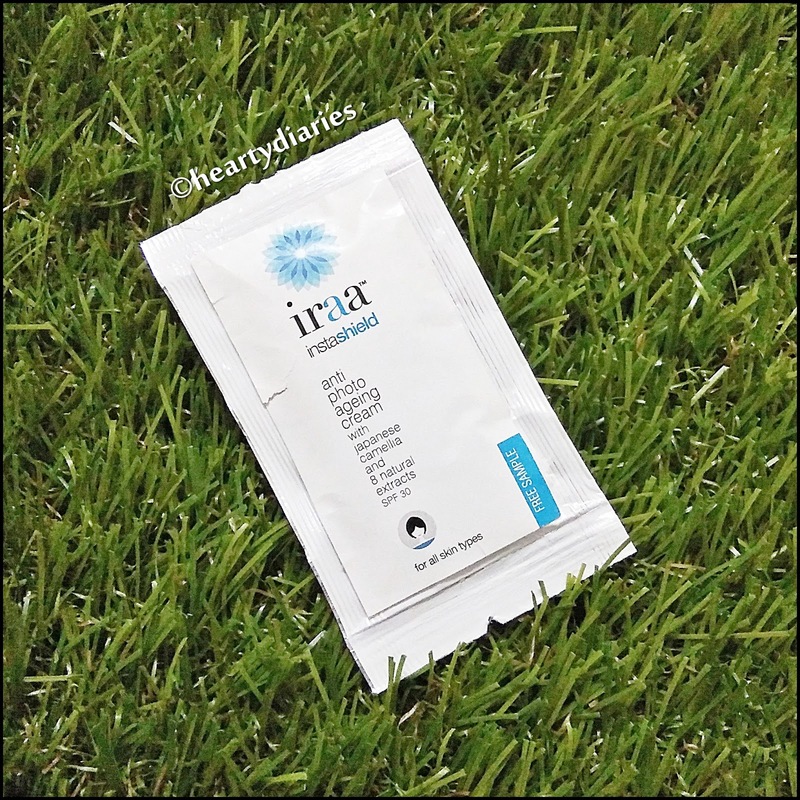 The actual packaging is a white plastic bottle having blue detailing; a white pump having a silver rim and a transparent cap to prevent the product from spilling around. Have a look at the actual packaging..
Texture and Consistency: This cream has an orange color; a non greasy, rich texture, feels very light on the skin. The consistency is quite identical to that of a BB cream (neither too thick nor too thin) but is very smooth on application. My Experience: The color of this cream is what I expected the least. I take an ample amount of product at the back of my hand and dot it all over my face. I then apply it all over my face gently using patting motions. The cream easily gets absorbed into the skin and doesn’t feel heavy. It leaves a dewy finish after application and feels very sticky which I don’t like. It doesn’t feel heavy but feels sticky.. 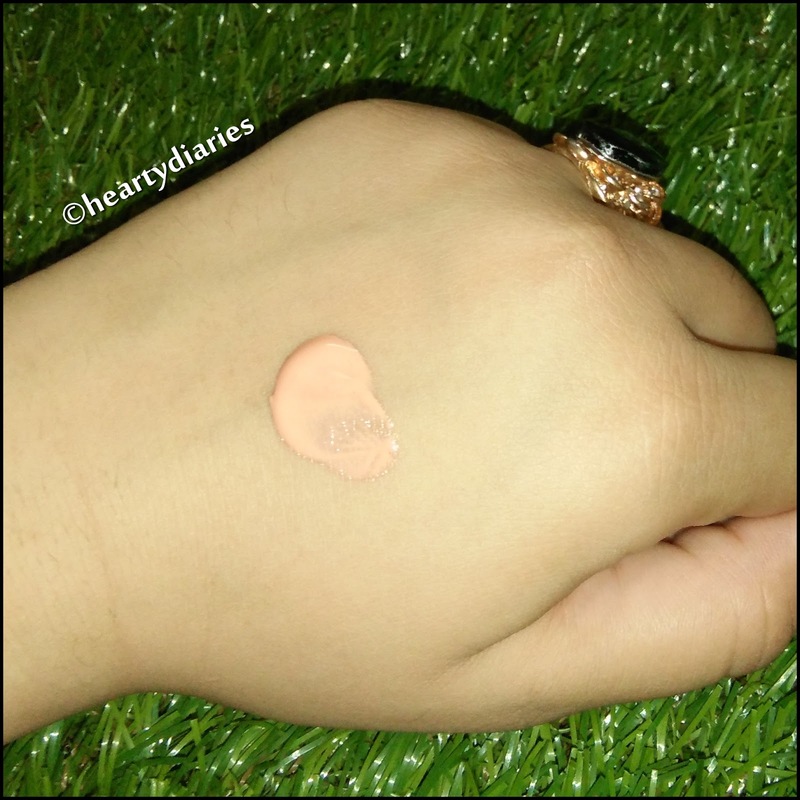 I hope you know what I mean… Since this cream is slightly tinted, the coverage is very sheer but has a dark undertone which makes my face look very dark as I have a fair skintone. For a sweaty and oily person like me, such a dark cream that feels sticky and leaves a lot of shine on the face is a big no. The result may be good but it is not some thing I will apply while going outside because I cannot move around with such a shiny face. The amount of shine it provides to my face makes it look like that of a doll which is simply unbearable by me.. I continuously sweat after applying it which makes it more difficult to carry it for me. The SPF is quite high which may be a pro for a lot of you but it stings my sensitive skin slightly which I again don’t want.. I also feel that it is extremely pricey for the quantity offered. If I would have been happy with the application part, I would have thought of buying a full sized product. It has not lived up to my expectations in terms of application which is the first step of using and forming an opinion about it.. 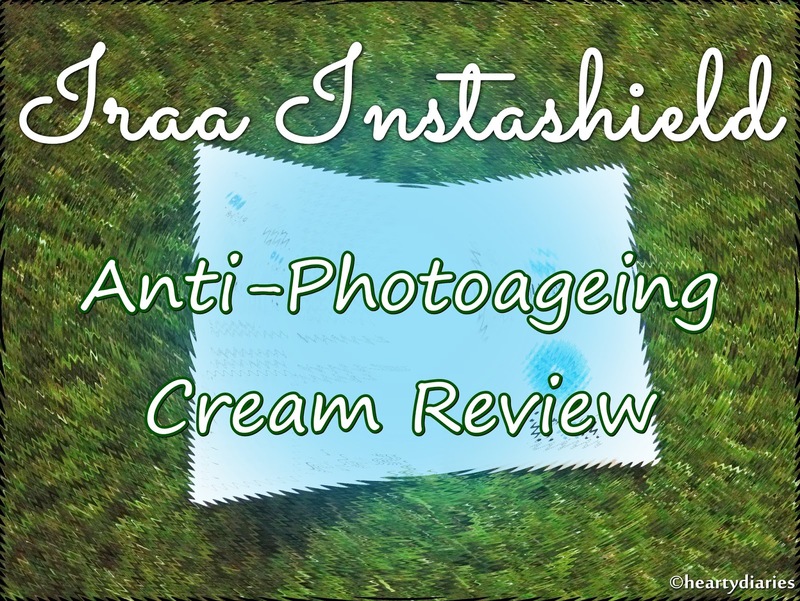 I would rather search for some other anti-photoageing cream than this one because it is not meant for people having oily skin. People with dry or normal skin may like it but another issue is of the skintone.. It really makes your face look dark. The smell is also not good at all, it is neither fully medicinal nor herbal.. I just don’t like it but I don’t judge a product on the basis of smell. It would have definitely got a thumbs up for me if it was good in terms of result but still had a bad smell..
No. This product is not at all meant for oily skin and has not impressed me even a bit, so I’ll never buy it again..
Not actually because I am not happy wih it and cannot comment on its long term effect. If you are someone having a darker/duskier skintone and have normal-dry skin, you can try it out but overall, I will not recommend it much. Can’t really comment on that because I cannot use it on a regular basis because of how it looks and feels. Final Verdict: Although it may be good in terms of its result, I cannot step outside after applying it.. I did not like any thing about it. It makes my complexion look really dark and makes the face look sticky and oily. May be you would have tried it earlier and like it but as per my experience, this product is not good.